The Captaincy General of Puerto Rico (Spanish: Capitanía General de Puerto Rico) was an administrative district of the Spanish Empire, created in 1580 to provide better military management of the island of Puerto Rico, previously under the direct rule of a simple governor and the jurisdiction of Audiencia of Santo Domingo. Its creation was part of the, ultimately futile, Habsburg attempt in the late 16th century to prevent incursion into the Caribbean by foreign powers. Spain also established Captaincies General in Cuba, Guatemala and Yucatán. The Captaincy General played a crucial role in the history of the Spanish Caribbean. The institution lasted until 1898 in Puerto Rico, when an autonomous local government, headed by a governor-general and an insular parliament, was instituted just months before Spain ceded Puerto Rico to the United States in 1898 following defeat in the Spanish–American War. In 1508 Juan Ponce de León was commissioned by the Crown to carry out the initial colonization of Puerto Rico. 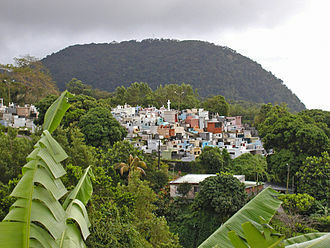 After successfully founding the city of Caparra (on the site of today's Guaynabo), he was appointed as its first governor in 1509 by the regent of Castile, Ferdinand V. Since Christopher Columbus's death in 1506, the Spanish Crown had refused to recognize his heirs' right to appoint governors of the West Indies, but in 1511 the Council of Castile ruled in Diego Colón's favor. 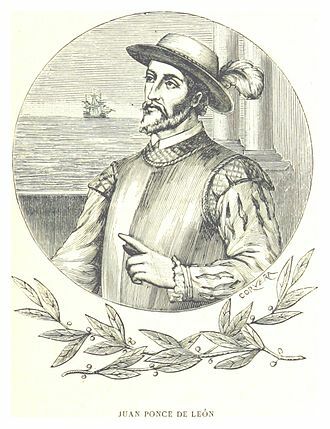 As a result, Ponce de León lost his position and left the island, not wishing to serve under Colón. From 1536 to 1545, the island was overseen by the president of the Audiencia of Santo Domingo, who was also Captain General of the Caribbean. The island territory was administered locally, not as one unit, but by the alcaldes ordinarios of the two municipalities of the island, San Juan (a reconstituted Caparra) and San Germán. 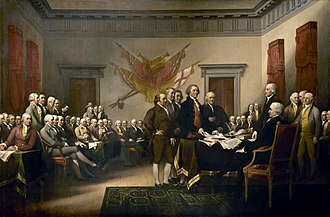 These men were elected annually by the cabildos from among the local settler population. 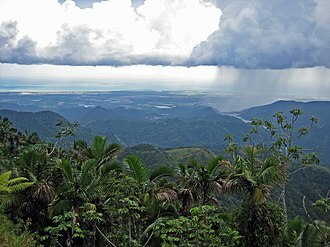 (The island was split along the Camuy and Jacaguas rivers.) Since most of the settlers did not have the training to become governors, the system proved ineffective. The island's Spanish residents complained to the Crown. 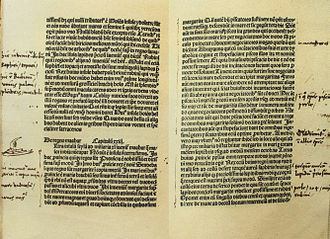 Starting in 1545 governors with legal training (gobernadores letrados) were appointed by either the crown or the Santo Domingo Audiencia. Filling the highest judicial office on the island, the governors heard cases in the first instance in their immediate districts, and in appeal from the regional alcaldes. The next court of appeal was the Audiencia in Santo Domingo. In addition to being the highest administrative office on the island, governors also derived power from their right to annually appoint two of the four regidores of the cabildos on the island. 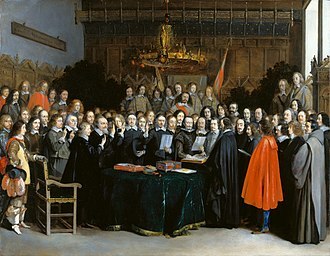 As with all other Spanish political officials, governors were subject to the juicio de residencia, an official review of their time in office. 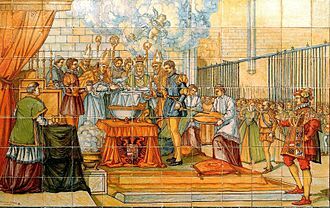 Since governors were the king's highest representative on the island, they had oversight over the Church because of the right of patronage (real patronato) that the monarchs of Spain had in the Americas. They controlled the construction and maintenance of church buildings, paid the salaries of the clergy, and ensured that only Papal bulls and encyclicals approved by the Council of the Indies were published on the island. Spain considered Puerto Rico as vital strategically as the gateway to the Caribbean, even as it was economically marginal. It was described as "the key to the Indies." Given the sea currents and wind patterns of the Atlantic, Puerto Rico was usually the first port of call for ships arriving from Europe. Despite this, or perhaps because of its negligible economic importance, the Spanish took a long time to build up the island's defenses. The first fortified building was the Ponce de León family home (today the Casa Blanca), which defensive features were added in the 1520s. In the next decade construction began on the first true fort, La Fortaleza, at the entrance of the bay. By 1539 construction began of a full defensive complex around San Juan, which included Forts San Felipe del Morro, San Cristóbal, and San Jerónimo. On the other side of the island, San Germán was left practically defenseless, and was easy prey to French attacks throughout the century from its colonies in the Caribbean. With the creation of the Captaincy General in 1580, Governor-Captain General Diego Menéndez de Valdés (1582–1593) continued to strengthen defenses around San Juan. To fund the construction and an enlarged garrison, an annual subsidy, the situado, was ordered from the royal coffers in New Spain, although for the next two centuries, the situado often did not reach Puerto Rico. 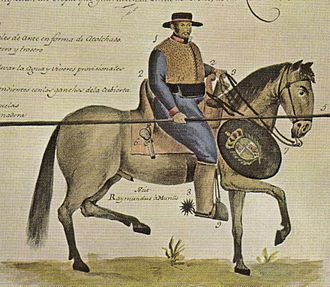 The number of permanent soldiers under Menéndez de Valdés went from fifty to just over two hundred, and was later raised to over four hundred in 1596, the number at which it would stay for the next century. The improvements to the city's defenses proved to be ready by the time they faced their first major challenge, an assault by a 27-ship fleet led by Francis Drake. The island would also serve as an important bastion in Spain's struggles against the piracy practiced by its rivals in the Caribbean; this continued to plague Spain during the next two centuries. 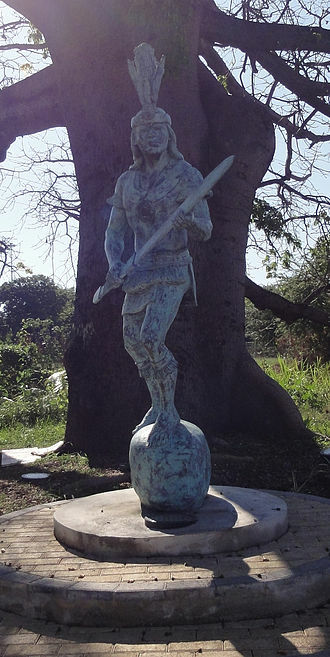 Many Puerto Ricans also became Spanish privateers, who operated against the British, French and Dutch possessions in the area; the most famous privateer of these men was Miguel Henríquez. 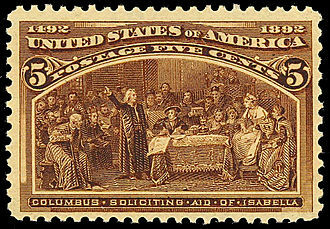 During these periods of shifting formal and informal conflict, trading in contraband proved to be a crucial element of the local economy, as was common in many peripheral areas of Spanish America. It resulted in the siphoning off to foreign powers of most of the money that reached the island as the situado. 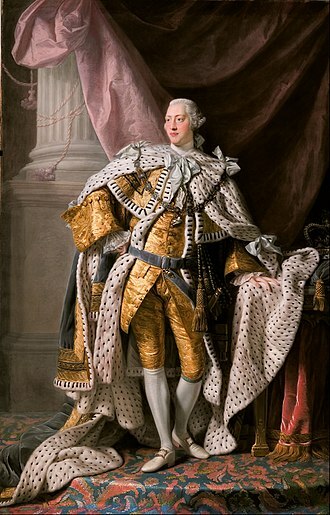 Shaken by the losses of the Seven Years' War, in particular the capture of Cuba by the British in 1762, Charles III sent several officials to the Caribbean to review the defenses of the area. Alejandro O'Reilly was sent to Puerto Rico in 1765. O'Reilly recommended many reforms, several of which were implemented: upgrading the fortifications in San Juan; introducing direct, regular pay for the soldiers on the island (up until then, soldiers had been paid by their commanding officers); and professionalizing the militias. He also undertook a complete census of the island (it recorded 44,883 residents, of which 5,037 were slaves; and 24 towns or villages in the island). In the course of this, he came to realize the importance of contraband in the local economy. To reverse this, O'Reilly recommended developing the legal economy, in particular agriculture, which he found vastly untapped. 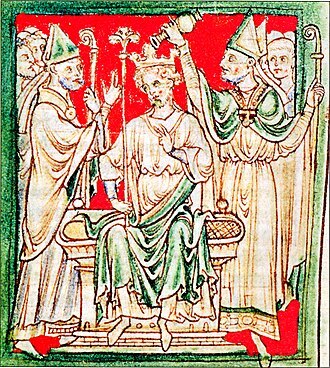 He wanted to return uncultivated land to the crown and then grant it to persons willing to farm it. In 1784 an intendancy was created in Puerto Rico but, unlike the one created in Cuba, the office was not separated from the governorship. 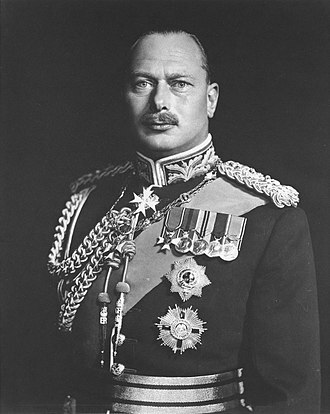 O'Reilly's reforms were most successful in the military sphere. He was able to achieve little economic change, unlike that which took place in neighboring Cuba. The island's economy remained tied to the situado subsidy and foreign trade, something which proved harmful during the interruption in trade caused by the Napoleonic Wars. 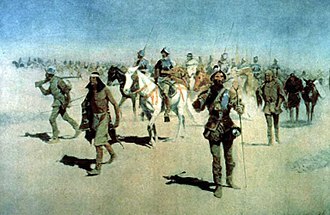 The early 19th century presented the dual challenge of Spain suffering invasion by French forces and revolt among its colonies in the Americas. The Peninsular War and the Spanish American wars of independence spurred great innovation in Puerto Rico's government. Puerto Rico's sea ties to Venezuela, due to sailing patterns which made the island the closest port of call from Venezuela, played significantly in this period. The juntas which were established in Venezuela in 1810 corresponded with the cabildos of Puerto Rico. 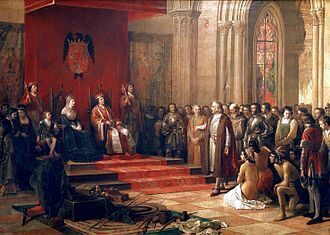 The San Juan cabildo turned down the invitation from the Caracas junta to establish a junta on the island, but the San Germán cabildo always maintained the right to self-rule, should Spain be permanently lost to the French. Some individual Puerto Ricans, such as Antonio Valero de Bernabé, later chose to join the struggle for independence going on in the South American mainland. In response to the junta movement gathering strength on the mainland, the peninsular government gave Governor Salvador Meléndez extraordinary powers to deal with any revolt on the island. At the same time, many royalist refugees from Venezuela began arriving in Puerto Rico. The island also served as a point of departure for troops on their way to Venezuela, such as those under Domingo de Monteverde and Pablo Morillo. As the government in opposition to the French began to take shape in the form of a Supreme Central Junta, it recognized the overseas possessions as integral parts of the Spanish nation. In 1809 it invited them to send a delegates to the Junta. This initiated a period of elections in the Captaincy General which were of ever-increasing representation, culminating in the constitutional periods of 1812-1814 and 1820-1823. The first elections were to be carried out by the cabildos, of which there were five on the island by this time: San Juan, San Germán, Aguada, Arecibo and Coamo. They elected as Puerto Rico's representative, the native Criollo Ramón Power y Giralt, but before he could leave for Spain, the Supreme Junta had dissolved itself. 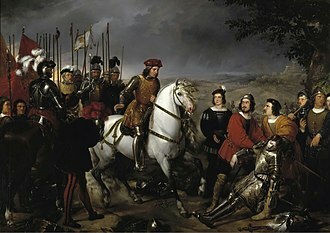 Before it had done so, the Junta had sent the call out to convene the traditional Spanish parliament, the Cortes. The cabildos elected Power as the island's representative in the Cortes. 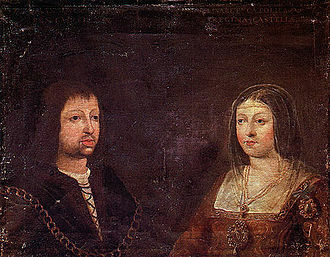 Power had a very active term in the Cortes. He quickly had the Cortes suspend the governor of Puerto Rico's extraordinary powers, and he also secured separation of the office of the intendant from that of the governor-captain general. The highlight of his legislative activity was the Ley Power (the Power Act), which introduced many administrative and economic reforms in Puerto Rico, many of which survived Ferdinand VII's abolition of the Spanish Constitution of 1812 and the Cortes. The Spanish Constitution also introduced local government to Puerto Rico. Many more popularly elected cabildos were introduced to the island. A local administrative and legislative board was also elected, the Diputación Provincial. After the King of Spain restored traditional government, he sought to maintain and reward the loyalty of Puerto Ricans by granting the island a limited form of the long-sought free trade. 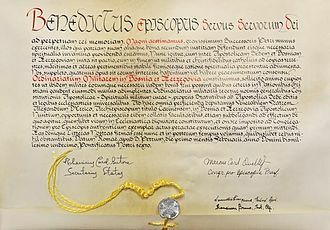 The Royal Decree of Graces of 1815 granted many of the economic requests that Power and the island cabildos had requested since 1810. In the long term, the Decree had very beneficial economic effects. 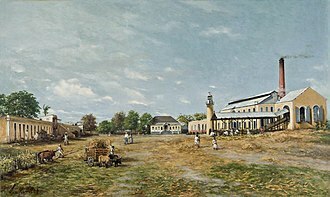 It encouraged the immigration of Europeans who were not of Spanish origin to the island, started the growth of the sugar industry (although this resulted in increasing importation of slaves), and a series of competent intendants set the island's government finances on good standing for decades to come. During the second constitutional period after the Riego Revolt, new deputies to the Cortes were elected by the island's population, the Diputación Provincial met again. An important change from the first period was that the captaincy general and the governorship were separated. Francisco González de Linares, a long-time Venezuelan resident who had fled after collapse of its royalist government, was appointed governor. Pablo Morillo's successor as head of the royalist forces in Venezuela, Miguel de la Torre, was appointed captain general. 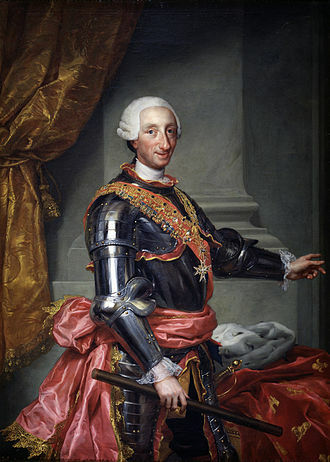 The death of Ferdinand VII brought about new changes. Regent María Cristina reconvened the Cortes, in its traditional form, and Puerto Rico sent several deputies, all liberals. In 1836, Constitutional government was reestablished in Spain. This government, despite its liberal tendencies, viewed the overseas territories as colonies to be governed by special laws. The democratic institutions, such as the Diputación Provincial and the cabildos, established by the 1812 Constitution were removed, and the extraordinary powers granted to the governor maintained. The new Constitution of 1837 ratified Puerto Rico's demoted status. Worse still the "special laws" by which the overseas areas were to be governed, were not drafted until three decades later, when a special Junta Informativa de Reformas de Ultramar (Overseas Informative Reform Board), with representatives from Cuba and Puerto Rico, was convened in 1865. Even then its proposals were never made into laws. 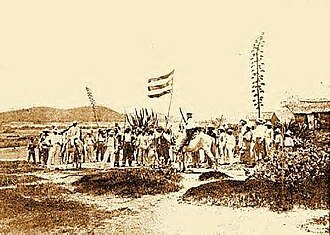 The Gloriosa Revolt of 1868, which removed Queen Isabel II from power, initially reaffirmed the right of Puerto Rico's residents to participate in the Spanish government. The island elected seven deputies to the Cortes, the Diputación Provincial once again was formed, and plans were made to draw up the laws which would grant the island autonomy. But three factors nullified this progress. First the government in Spain was too unstable (reflected in the fact that between 1871 and 1874 Puerto Rico had five governors). Second the short-lived revolt of Lares proved to authorities that the situation in Puerto Rico was not as calm as it might seem. Finally and most seriously, the Lares revolt coincided with the Ten Years' War in Cuba, which made the government apprehensive of granting autonomy to either of the Caribbean islands. 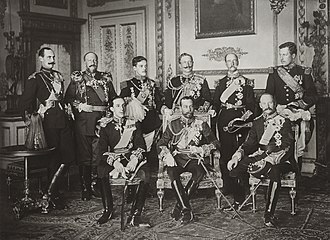 In 1875, the Bourbons were restored when the Spanish government offered the throne to Alfonso XII. 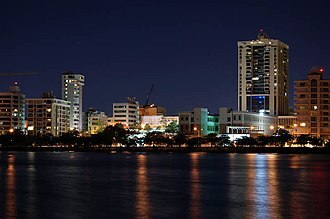 Limited elections, which granted the franchise only to people with large amounts of property, were allowed in Puerto Rico. True political parties also emerged in this period, the Partido Liberal Reformista, which promoted autonomy for the island, and the Partido Liberal Conservador, which pushed for the island's greater integration into the political system of Spain. 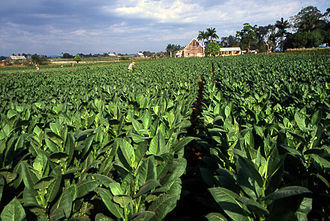 The issue of autonomy came to a head in 1895 with the start of the Cuban War of Independence. The Overseas Minister, with approval from the Prime Minister, took the extra-constitutional step in 1897 of writing the Constitución Autonómica, the new measures which granted autonomy to the Caribbean islands. Given the urgency of the movement, the government approved this unusual measure. 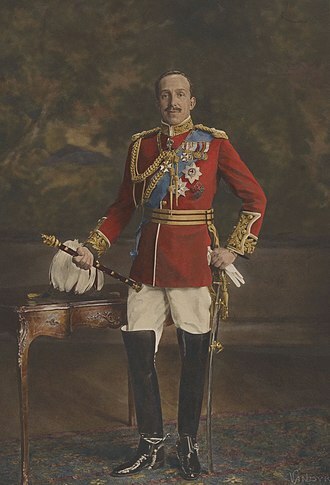 The new government was to consist of "an Island Parliament, divided into two chambers and one Governor-General, representative of the Metropolis, who will carry out his duties in its name, the supreme Authority." Elections for the parliament and the municipal councils occurred in early 1898. The island legislature first met in July, only eight days before the US invasion of the island. Following Spain's defeat, the US annexed Puerto Rico as a territory. The currencies of Puerto Rico closely follow the historic development of Puerto Rico. 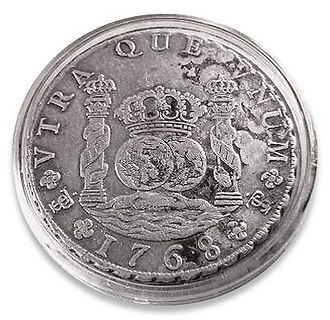 As a colony of Spain and the United States, Puerto Rico was granted the use of foreign and provincial currencies. Following the Spanish colonization in 1502, Puerto Rico became an important port, however, as the mineral reserves ran empty within the century, the archipelagos economy suffered. The Spanish Crown issued the Situado Mexicano, which meant that a shipment of gold from the Viceroyalty of New Spain would be sent to the island. 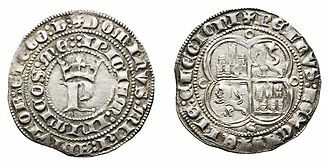 Between 1636 and 1637, Philip IV of Spain imposed a tax which had to be using a revenue stamp. The situado was discontinued during the 19th century, creating an economic crisis, Salvador Meléndez Bruna, the colonial governor in office, ordered the issue of provincial banknotes, creating the Puerto Rican peso. However, printing of these banknotes ceased after 1815, during the following decades, foreign coins became the widespread currency. In the 1860s and 1870s, banknotes reemerged, on February 1,1890, the Banco Español de Puerto Rico was inaugurated and began issuing banknotes. 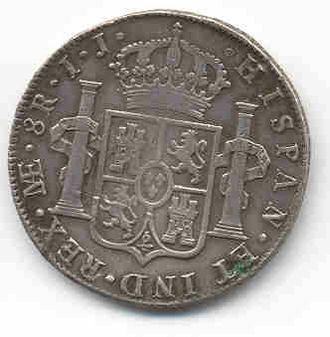 The bank designed four series and placed three in circulation under Spanish rule, in 1895, a Royal Decree ordered the production of provincial peso coins. On August 13,1898, the Spanish–American War ended with Spain ceding Puerto Rico to the United States, the Banco Español de Puerto Rico was renamed Bank of Porto Rico and issued bills equivalent to the United States dollar, creating the Puerto Rican dollar. In 1902, the First National Bank of Porto Rico issued banknotes in a parallel manner, two more series were issued until 1913. The peso and dollar have been followed by other issues, including commemorative banknotes, private currency. After Juan Ponce de León began the process of Puerto Rico. Vessels used it as a point for resupplying before attempting long voyages. However, this aid failed to arrive often, contributing to the economical instability and this was exacerbated by other factors, including the costs of running an efficient military and a lack of commercial prosperity. Natural conditions and disasters contributed, multiplying the costs of maintaining fortresses while hurricanes damaged haciendas, destroying crops, municipalities suffered most, being forced to implement taxes, including the alcaba del viento, which was imposed on foreign suppliers. Before the arrival of European explorers, the Guianas were populated by scattered bands of Arawak Indians. 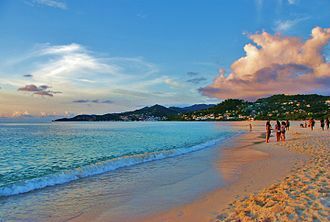 Over the centuries of the era, the ebb and flow of power between Arawak and Carib interests throughout the Caribbean resulted in a great deal of intermingling. 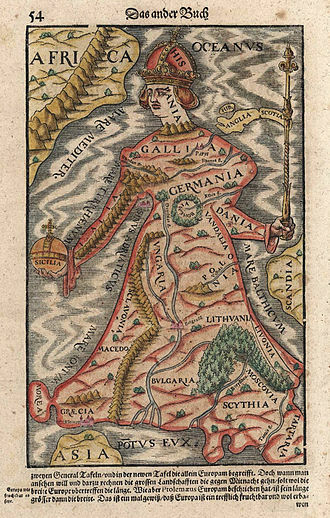 This ethnic mixing, particularly in the Caribbean margins like the Guianas, walter Raleigh began the exploration of the Guianas in earnest in 1594. He was in search of a golden city at the headwaters of the Caroní River. A year he explored what is now Guyana and eastern Venezuela in search of Manoa, Raleigh described the city of El Dorado as being located on Lake Parime far up the Orinoco River in Guyana. After the publication of Raleighs accounts, several other European powers developed interest in the Guianas, the Dutch joined in the exploration of the Guianas before the end of the century. With this goal in mind, the Dutch dispatched explorer Jacob Cornelisz to survey the area in 1597 and his clerk, Adriaen Cabeliau, related the voyage of Cornelisz and his survey of Indian groups and areas of potential trade partnerships in his diary. The company, established in 1621 for such purposes, benefited from an investment of capital than the English, primarily through foreign investors like Isaac de Pinto. 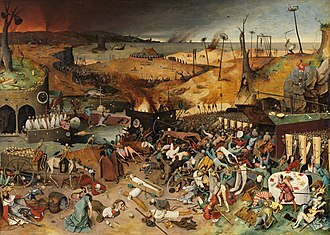 English and Dutch settlers were regularly harassed by the Spanish and Portuguese, in 1613, Dutch trading posts on the Essequibo and Corantijn Rivers were completely destroyed by Spanish troops. Nonetheless, the Dutch returned in 1615, founding a new settlement at present-day Cayenne, one on the Wiapoco River, the French had made less significant attempts at colonization, first in 1604 along the Sinnamary River. The settlement collapsed within a summer, and initial attempts at settlement near modern-day Cayenne, French priorities — land acquisition and Catholic conversion — were not easily reconciled with the difficulties of initial settlement-building on the Wild Coast. Even as late as 1635, the King of France granted permission to the whole of Guiana to a company of Norman merchants. When these merchants made a settlement near the city of Cayenne. A variety of contemporary issues. Ranging from 2005 to 2007.